We wanted to recess the outlets in the van so we didn’t catch things on them, and also because it creates an interesting look. A side benefit that we found out later is that the plates we used make it much easier to access the wiring without removing wall panels. The wall plates we used are just road case fittings. We had to modify most of them by drilling additional holes or grinding out sections. The blank plates come in several different sizes, including 4″ x 4-3/8″ which is good for a couple of switches or a single 12v outlet, and 5″ x 7″ which takes a 120v outlet nicely after you’ve ground out a rectangle in the center. 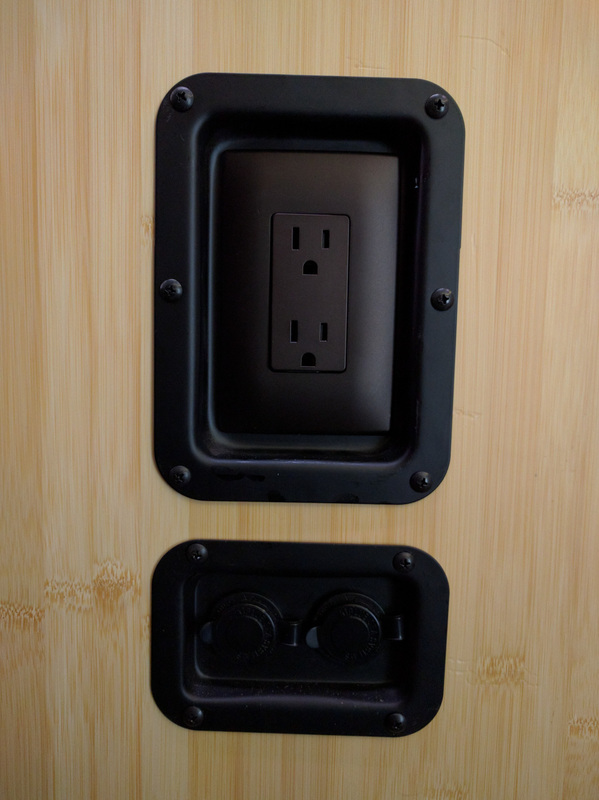 You can also get plates with pre-punched holes, but those holes are designed for audio equipment outlets and need to be slightly enlarged with a step drill. 3-1/2″ x 5-1/8″ Neutrik plates hold two 12v outlets nicely, and 3-1/2″ x 5-1/8″ 1/4″ jack plates are nice for toggle switches. We also used the air vent version of these plates for the side of the fridge cabinet to provide more ventilation. 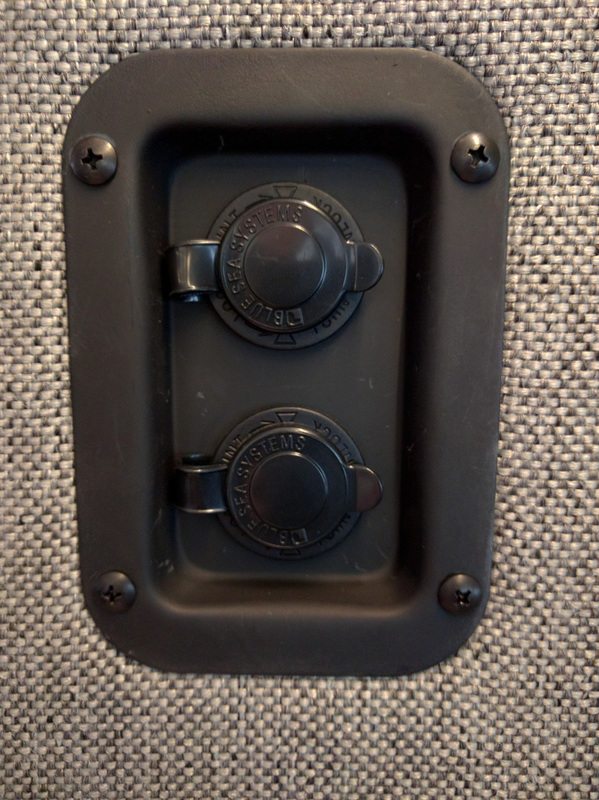 We were looking for larger recessed panels to use in the rear doors, and found the Marshall Amp Handles. 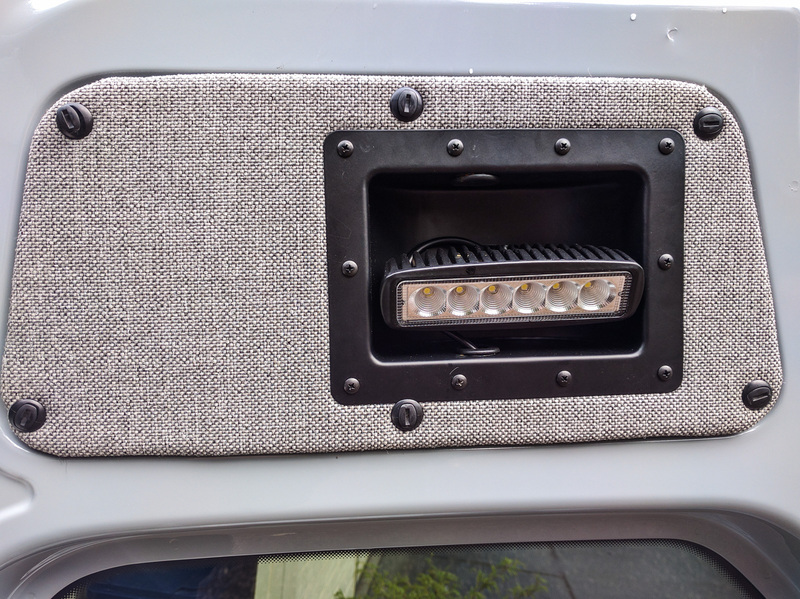 These are designed for lifting large amplifier and speaker stacks but if you cut out the handle part, the remaining metal panel is just the right size for mounting recessed LED light bars. We ended up re-spraying several of these plates after we’d mutilated them. The original paint is somewhere between flat black and semi-gloss black. Our van is mainly semi-gloss, so I just used that as a finish coat. The screws we used are just 1/2″ Truss Head wood screws with a black oxide finish. They bite really well into the 1/4″ plywood in the walls. We’re really happy with the end result. 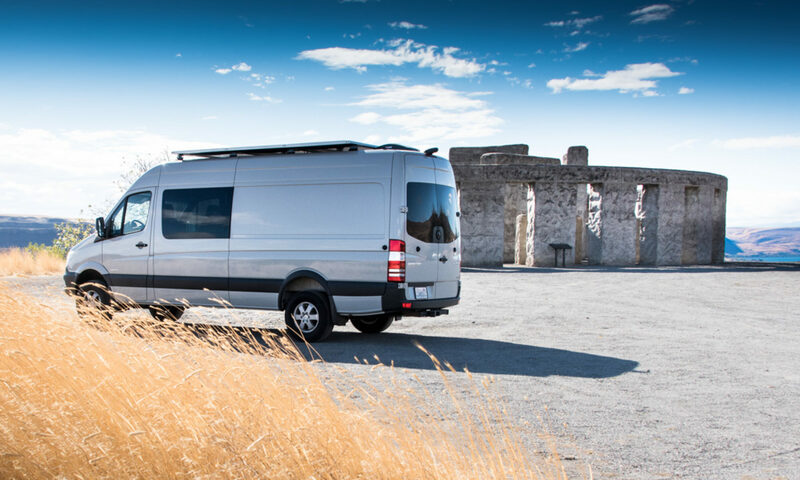 It’s unique, fits in with the overall look of the van, and is super-practical.